Many travelers think of autumn as the best time of year to take a vacation. The hot destinations start to cool off and depending on the destination, the fall colors start to take hold and create a glorious backdrop for experiencing an area’s charms and events. In fact, as the temperatures drop, the fall festival season around the world starts to heat up. Here is just a taste of yearly international celebrations and holidays that can be the highlight of any vacation. 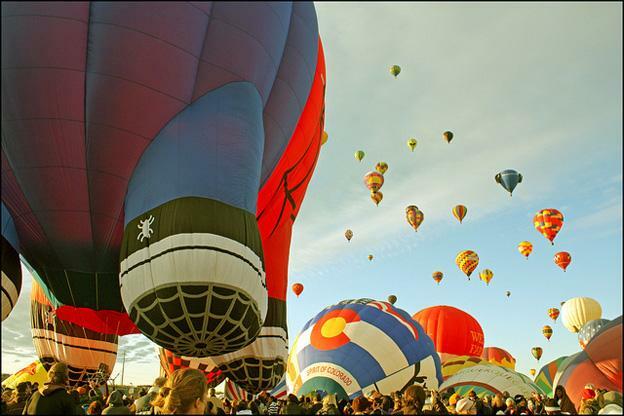 The International Balloon Fiesta in Albuquerque, New Mexico every October is touted as the most photographed event of any kind in the entire world. It is considered to be the premiere hot-air balloon event and the most family-friendly of all events in the world as well. This balloon fiesta has been going on for 50 years and the number of balloons registered has been as high as 1,019. As many as 100,000 people watch the balloons launch from the field and even more wait at the landing areas throughout the city to see the balloons as they come in. This is the must see festivals in Autumn if you are around New Mexico. • Dawn patrol – A number of balloons are lighted and take off at sunrise. They come down when it is light enough for the pilots to see their landing sites. • Mass ascensions – This is probably the biggest event and is a launching of all of the balloons taking off in two separate launchings. There are hundreds of these colorful balloons in the air at once. 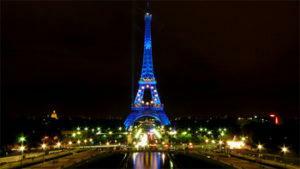 Known as Nuit Blanche in France, every October 1 and 2 the City of Lights illuminates its famous monuments and museums in an array of colorful lights. The lights are accompanied by beautiful music. During the White Night festival there are approximately 120 public meeting places and cultural destinations that stay open all night. No entry fee is charged to visit these tourist attractions, monuments, galleries, and museums. The free entry even includes places like movie theaters, parks, and swimming pools. For those who last all night enjoying the Paris attractions there is a free breakfast at each city hall in Paris. November 1-2 may be one of the most fascinating times to visit Guatemala or Mexico. The traditional festivities of the Day of the Dead – el dia de los muertos – celebrate life and provide the people a way to pay tribute to their ancestors. Their memory is honored with visits to cemeteries and exciting parades, festivals in the streets, and the giving of gifts. Each province in these countries has its own way of honoring the Day of the Dead. Some ceremonies are a bit more subdued with somber funeral processions, while others celebrations are more along the lines of exuberant parades with the participants wearing brightly colored costumes and dancing. The traditional and historic celebration known as Guy Fawkes Night is observed throughout England in early November. It commemorates the failure of “The Gunpowder Plot” in 1605. With the help of a number of British Catholics, Guy Fox attempted to blow up King James I along with the British Parliament. This plot was in protest to the way that the English treated Catholics during that time. Ever since the plot was stopped, the English have celebrated by creating huge bonfires, shooting off fireworks and even burning Guy himself in effigy. 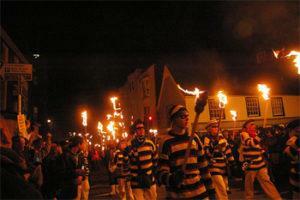 Wherever you may be in England on Guy Fawkes Night you are likely to become embroiled in a local celebration. • Oktoberfest -. The most famous is in Munich, Germany. However, you can probably find Oktoberfest celebrations throughout Germany. • Jousting of the Saracens – This takes place in Arezzo, Italy in September and is an amazing spectacle of traditions from medieval times. Denise, the author of the world`s best festivals in Autumn, writes for Assisted Living Today, a leading source of information on senior care, including information on assisted living facilities in New York.